Travian is a thrilling game, but in order to play successfully (survive, be able to grow fast, enter a first class alliance, become a strong offensive or defensive player) and enjoy your game the most, you need lots of interesting rounds to acquire sufficient experience. This guide is meant to save you some time and help you improve your stats and game style, playing successfully the Gauls. Having small or medium experience in this game or not too much time and money to spent means that you have to play defense by default. And who is the best at defense? Gauls. Although, this is not to be taken negatively, since Gauls can offer you much more if played right. You can certainly win playing the Gauls defensively, offensively or mix. In fact, playing mix I consider as the best way to play the Gauls. Keep reading to find out how. Surviving in this game means, first and foremost to be able to defend all your villages from conquering and getting farmed. Even if you have thousands of offensive troops, you can easily loose a village or suffer from other raiders who steal like you, simply because if you try to defend with offensive troops you will lose them all sadly easily. If attack is your answer, you will need lots of patience in taking back what is lost and maybe loose it again. Thus, even offensives need defense. Joining an alliance, you will think, can operate protectively, but only under some crucial conditions. The allies can be supporting in many ways, but usually this is something you can take advantage of, only if you already can deal with your own problems by yourself! Otherwise, if the alliance is willing to help you each time you need defense, which is rare, it will cost to the alliance in terms of progress and at last… surviving. Big alliances, which can be dissuasive in terms of attacking its members, will not really deal with each player’s own problems, every time. Even worse, if a player himself/herself cannot deal properly with the threats he/she is facing and become a farm, he/she will sooner or later be kicked off the alliance. Thus, at first (so as in the end) you have to be able to defend yourself properly! Being a Gaul, you certainly have a defending advantage (traps and bigger crannies) and lots of cheap but good defenses (phalanx and druidriders) which is crucial for your course in the game, all game long. A trap and a cranny solely, can save you from getting farmed and slowed down in the very beginning, with a minimum cost. Only being a Gaul, anyway, works as deterrence, since all players avoid attacking Gauls most of all, because they have traps, bigger crannies and are known as a defensive tribe. Although, you need to have a trap and a cranny to prove that to those who will attack you anyway, otherwise sooner or later you will become a farm. In the meantime, having a very good defense with the minimum cost (traps and crannies) enables you to build a stable and start training some pathfinders and theutates thunders (TT) to earn your troops living and grow from early game stage. TTs are excellent raiders. They are fast, strong, affordable even in the beginning and can carry a lot of resources. Having TTs from the very beginning will give you a great advantage in offense. 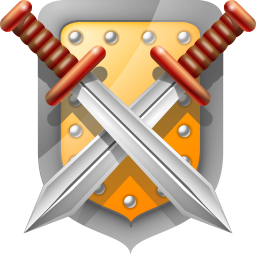 Being more protected from any other offensive, you can play offense with an advantage against Romans and Teutons, having also defense. This way, you will win any one to one. In terms of crop, you can afford having 200 TTs in your first (fully developed) village, 1500 or more phalanx and 150 pathfinders. 10 TTs are great to begin with! Pathfinders are needed to avoid getting scout. If a player tries to scout you and have his scouts killed (he sent less than yours), he will most definitely be discouraged to attack. This applies throughout the game. So, begin with 5 pathfinders and have up to 150 (or more in case needed) in each village fully developed. Your second village must be a cropper, a 15c most preferably and near at least two crop oases (+50% in crop production). You have to be fast and choose wisely. If you have made it well in the beginning and the others around you are relatively weaker in terms of population, growth rate and troops, if you happen to know, choose the best and closest cropper. If you were not that fast, go away and find a cropper near lots of crop oasis to move your empire and grow safely, away from big and potentially competitive neighbors. Then, you will have to choose how you will play, offensively or defensively and start building the right troops. A successful defender must have a trap or two, fully extended, a cranny, 150 pathfinders and around 2000 phalanx depending on crop and a big horse army of druidriders and haeduans in the cropper. An anvil (defensive) usually has around 20000 troops (measured in crop consumption) in total. A successful hammer (offensive) must have more. Playing mix, aka being offensive or defensive mainly and having some troops of the other is very useful and flexible in playing more autonomously. For example, being a defender mainly, but having some offensive troops gives you the advantage to raid and to conquer a village yourself and grow faster. And, as already said above, being an offensive mainly, but having some defenses makes you win one to one fights and have an advantage against other offensives that might attack you. To sum it up, a successful strategy for Gauls dictates a combination of parameters like growing fast and taking the advantage of the advantages the tribe offers you (traps, cranny, mix troops) and can certainly brink you to see the end game!